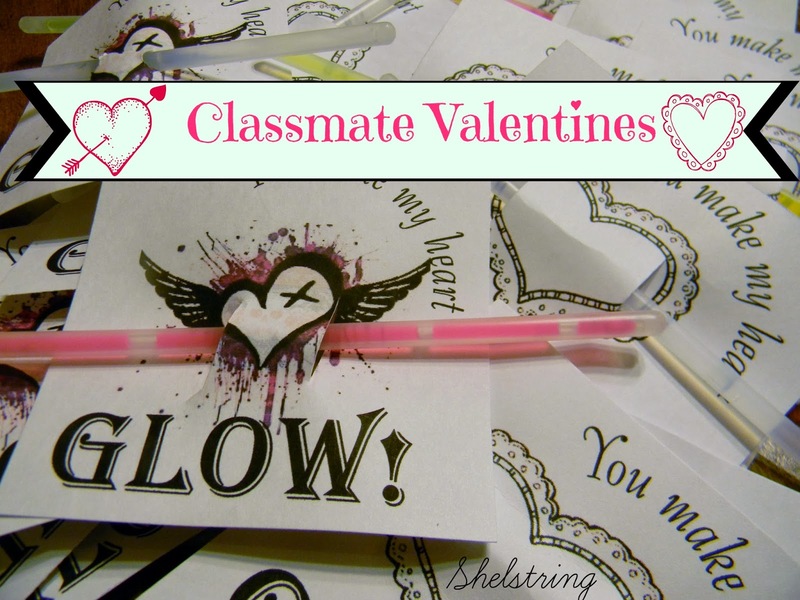 Last year the children wanted to give something special to their classmates for Valentine's day. We looked at the different cards available, and would have had to buy two packages at 3-4 dollars a pop. We decided to put that money to better use. The teacher put a restriction on candy, so as we were looking at different cards I introduced this idea to my boys...(I don't even remember how the idea evolved). 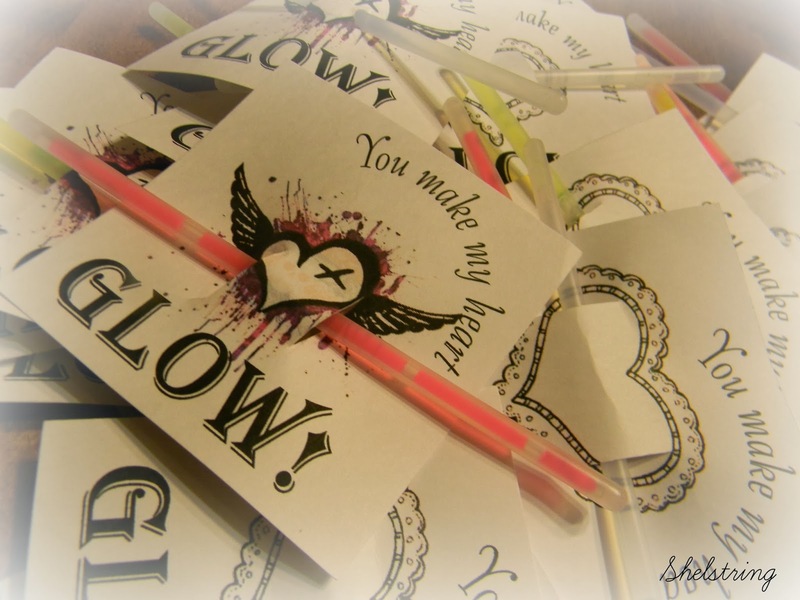 So we went to the dollar store and bought a few packages of mini glow sticks, found images the children wanted, printed them out. Making two slits with an exacto knife, we fit the glow sticks through, after the children signed the backs. Apparently it was a great idea. I had forgotten all about it until the children brought it up again when I asked them what they wanted to do for Valentine cards. They want to give them again! For other Valentine ideas, go here, here & here. What a wonderful idea! Sounds like so much fun too! It may be an inexpensive idea, but the sweet memories you are making with you children will be priceless. They will always remember that their Mom helped them make Valentines for their friends. Cute idea. I totally forgot to do anything for my kids' classmates. We had a snow day anyway but they came home yesterday with little cards and goodies.